For (I believe) only the second time, I’m sharing a Vaughn household recipe rather than a Maine cookbook recipe. As I reiterate periodically, I prefer recipes with relatively short ingredient lists that deliver flavorful results – and I should add that I also like to keep the dirty dishes to a minimum. I think of this as my Maine practicality shining through. For this recipe, I cook the pierogies in the same deep skillet I use for the veggies and kielbasa after draining the pierogies and setting them aside. If you’re looking for another take without the pierogies, Sandra Oliver includes a one-skillet camp supper recipe in Maine Home Cooking that looks pretty tasty, too. 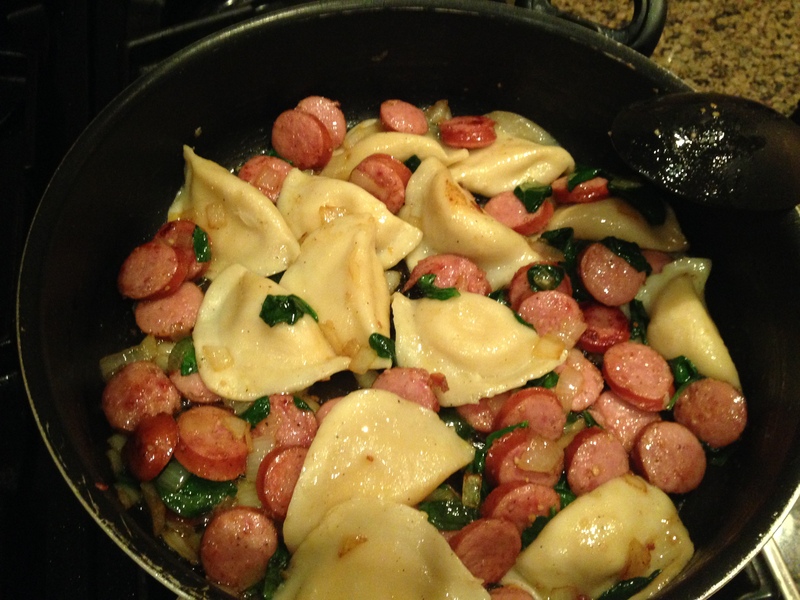 I began making this pierogies+kielbasa meal several years ago because it’s a quick dinner for week nights, and you can easily make it more colorful and healthy by adding the veggies of your choice. I typically use kielbasa (because I love it) or a smoked turkey sausage (leaner and healthier), but you could use any sausage of your choice. You can make this dish your own by adding everything from spinach or kale, to broccoli and cauliflower, to using a cream sauce, or a wine reduction… the options go on and on. I pretty much always include onion and spinach in my base for this dish. 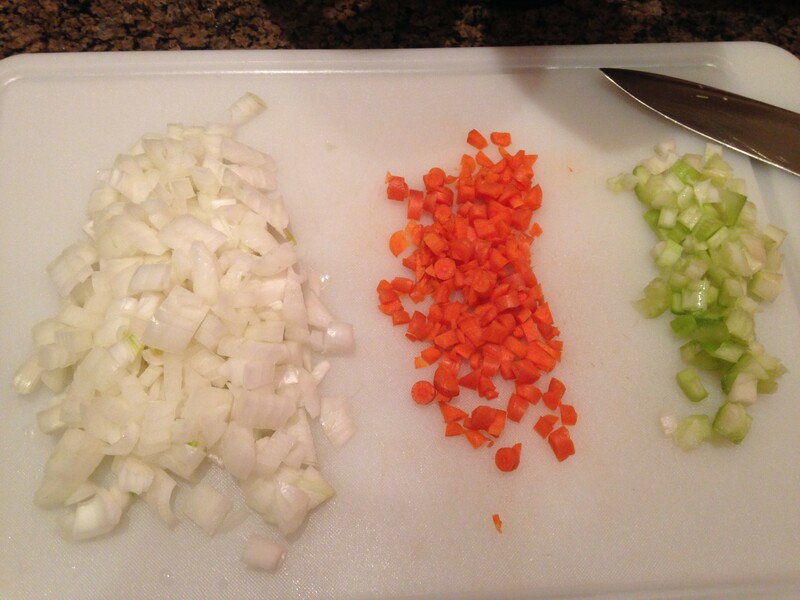 In fact, there is rarely a meal in which I don’t use onion. I once shared a lively debate with my best friends about the necessity of the onion in cooking – while E claimed (and rightfully so, I admit) that the onion offers minimal nutritional value and is merely a “nice-to-have,” M and I both protested that the flavor value and consequent impact of the onion overrode its nutritional shortcomings, making it a “must-have.” If you have any cooking “must-haves” or similar conditions, please share! From this point on, you can embellish as you’d like, adjusting the cooking time and process accordingly if you’re adding harder vegetables like carrots, potatoes, or sweet potatoes. In a deep skillet, boil water and cook the pierogies according to package directions (generally about 2-3 minutes in boiling water, until they float). Drain the pierogies and set aside. Heat olive oil over medium heat and add onions (and garlic if desired). 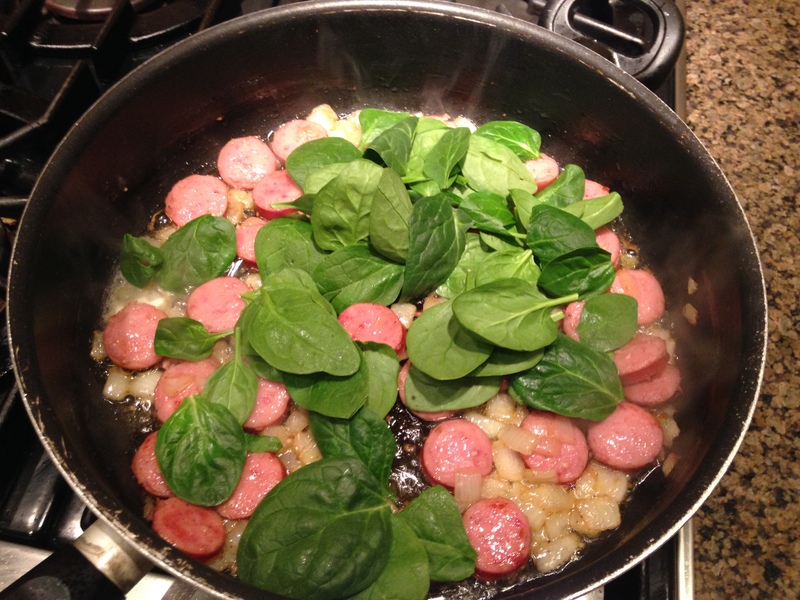 Saute for about two minutes, until somewhat tender, and add kielbasa. I like to add about a 1/4 cup of white wine at this point for flavor. It reduces nicely and turns everything golden. Once the wine is reduced, lower heat to medium-low and add the spinach (and other “soft” veggies like tomatoes, as desired). Once the spinach is mostly wilted, I like to add the pierogies, stirring to combine the flavors and reheat the pierogies slightly. 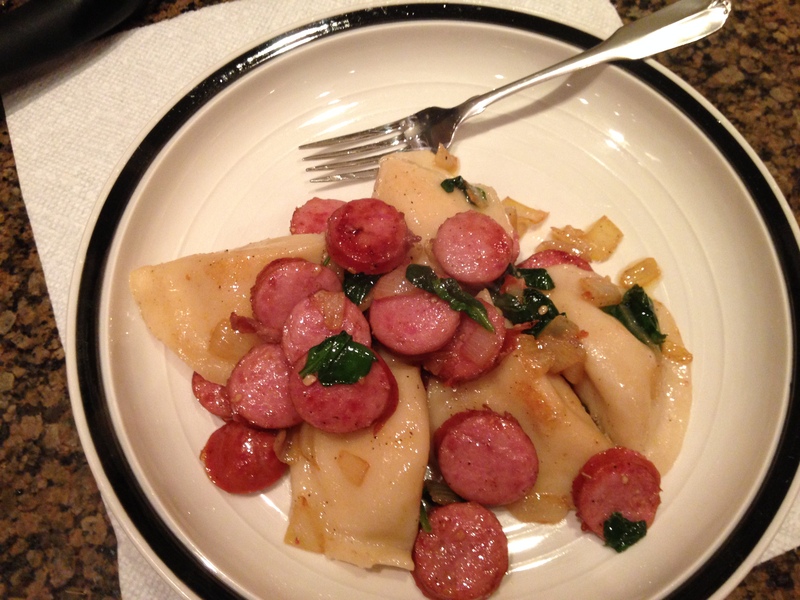 Categories: Eat, Weekly Recipe | Tags: home cooking, kielbasa, Maine, one-dish meal, pierogies | Permalink. Ahh, the holidays. This joyful time of year when the air is practically tinged with excitement and merriment; when our time is filled with gatherings of friends and family; and when the tables are literally groaning under the weight of holiday ham, turkey, butter-laden vegetables, and rich desserts. Our Thanksgiving table for two! 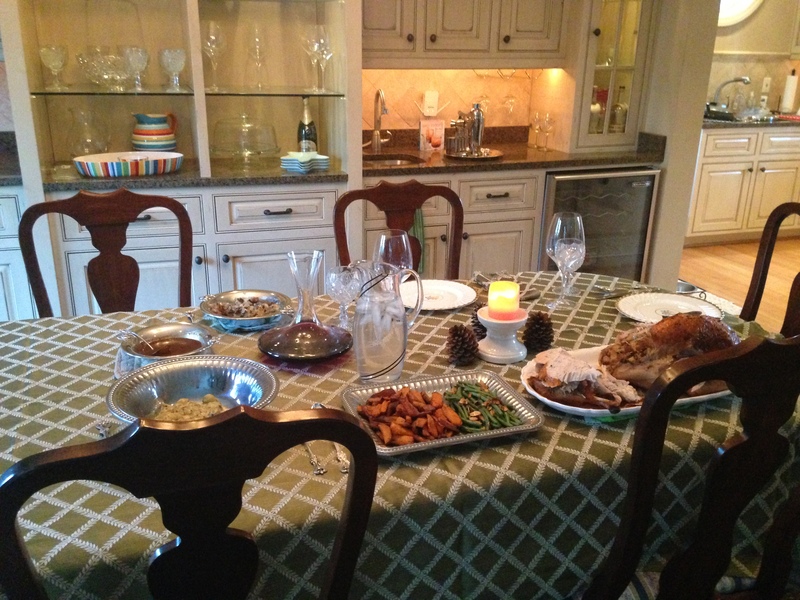 After we stagger from the table and clean up commences, my thoughts always shift to handling the leftovers. Some solutions are readily available (leftover mashed potatoes? Corn? 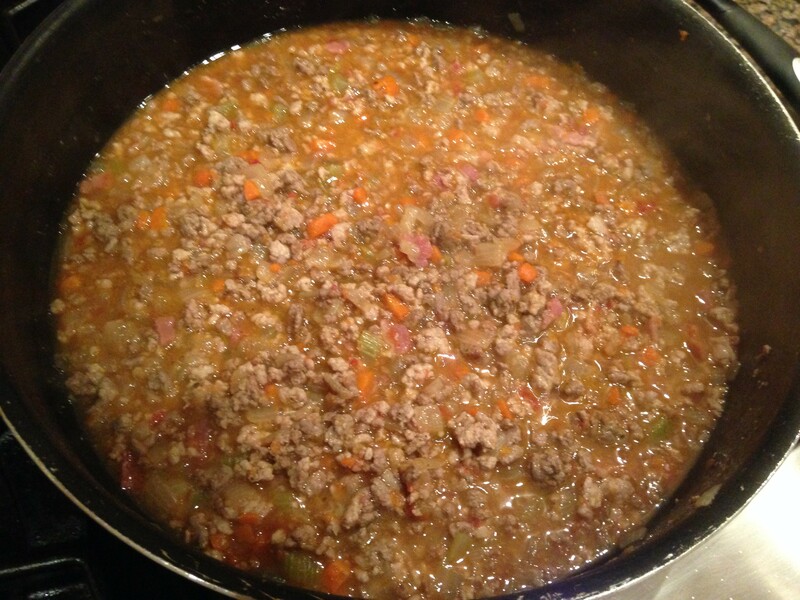 Add some ground meat and it’s shepherd’s pie to the rescue!) while others require some research. Because I really hate letting any food go to waste, I tend to diligently search for recipes and improvise as needed until the turkey, ham, beef, and leftover sides have been incorporated into casseroles, soups, and sandwiches. Your freezer is your best friend in this case – soon to be happily stocked with meals for future winter nights. 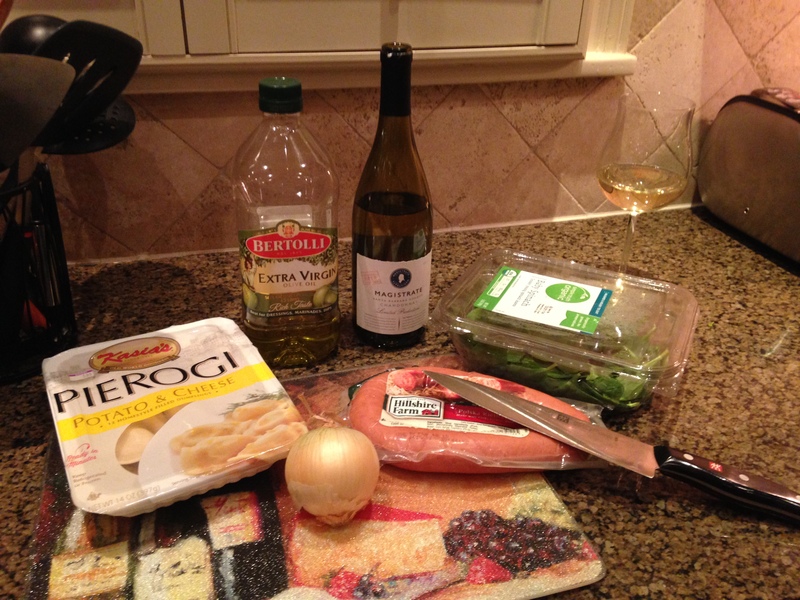 The following recipes were winners in our house – from various sources. I hope they help you make the most of your Christmas leftovers! Nick and I really enjoyed this pizza after Thanksgiving. It jazzes up turkey after a few days when the kiddos are sick of leftovers. The downside: it doesn’t really use up that much turkey. A flavorful turkey chili that serves a soccer team! Uses two leftovers! I’d happily add peas, green beans, or other leftover veggies for a well-rounded, single-dish meal. As a pasta lover, this dish was a shoo-in. I haven’t made this one, but it sounds like an ideal winter comfort food – and it uses potatoes, carrots, parsley, and other ingredients that are likely to be lingering. On this Christmas, I hope you are celebrating with friends and family and feel surrounded by love and peace. Happy holidays from Maine Roots… and happy holiday leftover-ing! Categories: Drink, Eat, Holidays | Tags: ham, holidays, leftovers, turkey | Permalink. With some regularity, my husband arrives home to find me enjoying a glass of wine. Chalk it up to work stress if you like (some days I do), or it could just be because people everywhere have enjoyed fermented beverages for a long, long time – and I’m no exception. While the atmosphere, decor, and dress may have changed over the centuries, people like to gather together and enjoy food, drink, and entertainment. Today we indulge in a variety of settings – a casual beer with friends at the local watering hole, or a wine tasting party at someone’s home, or checking out the hot new martini bar (although in the interest of transparency, that won’t be me – not a martini gal, I’ve discovered). I’d encourage you all to add a mead tasting to your list of must-try alcoholic experiences. In fact, mead is considered the ancestor of all modern fermented drinks. Perhaps it’s no surprise, then, to see the popularity of modern day mead growing, with meaderies following rapidly in the footsteps of wineries and breweries to take advantage of the rising interest in their product and the art and science behind it. Last year, I wrote about Far Friar’s Meadery, located in Newcastle, Maine, and this year during my visit to Maine, I had the opportunity to visit Maine Mead Works for the first time. Located on Washington Ave in Portland, it’s easily accessible for both tourists and locals. Founded in 2007 by owners Ben Alexander and Carly Cope, Maine Mead Works uses Maine ingredients (as much as possible) and also leverages good ol’ Mainah wisdom – that handcrafted is better than mass-produced, and quality is better than quantity (hence their small batch approach). We had the opportunity to try a large number of traditional and flavored meads during our visit, as well as a few sparkling versions. Maine Mead Works emphasizes crafting a modern mead that is dry, crisp, and has a balanced finish. Like Fat Friar’s mead, the more traditional dry and semi-sweet meads carried strong honey notes on the nose. As I’ve become more familiar with mead, I find I can also appreciate it more. I enjoyed the dry mead, but I liked the flavored varieties best of all. From my perspective, honey mead creates an ideal base from which to add flavors like lavender, strawberry, and cranberry, as Maine Mead does. I could easily envision a summer afternoon on the deck, enjoying a chilled glass of the strawberry or lavender mead, while cranberry was clearly a holiday season indulgence. In conclusion, a visit to Maine Mead Works is highly recommended. While we weren’t able to stay for the facility tour, I’m sure that would be well-worth experiencing as well. You can also check out their cocktail recipes page for fun ways to mix with mead. 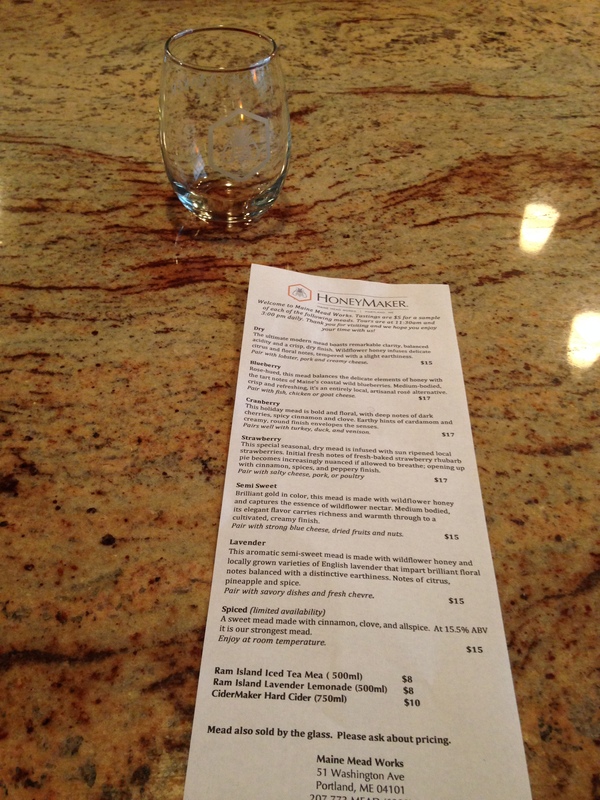 Categories: Drink, Holidays, Play | Tags: alcohol, Maine, Maine Mead Works, mead, Portland | Permalink. During the colder months, I’m very much drawn to hearty, filling meals like this meaty, flavorful ragu recipe from Recipes from the Maine Kitchen. Once again, this favorite cookbook delivered a winning recipe that earned “really good” reviews from my husband. The original recipe serves 8-10 (as written below). I halved it, and was also missing a few ingredients, but it was still excellent. Being a home cook generally means being realistic – you’re not always going to have on hand, want to buy, or be able to find every single ingredient in a recipe. This means finding a recipe that still delivers results even when not prepared just so is like finding a treasure. 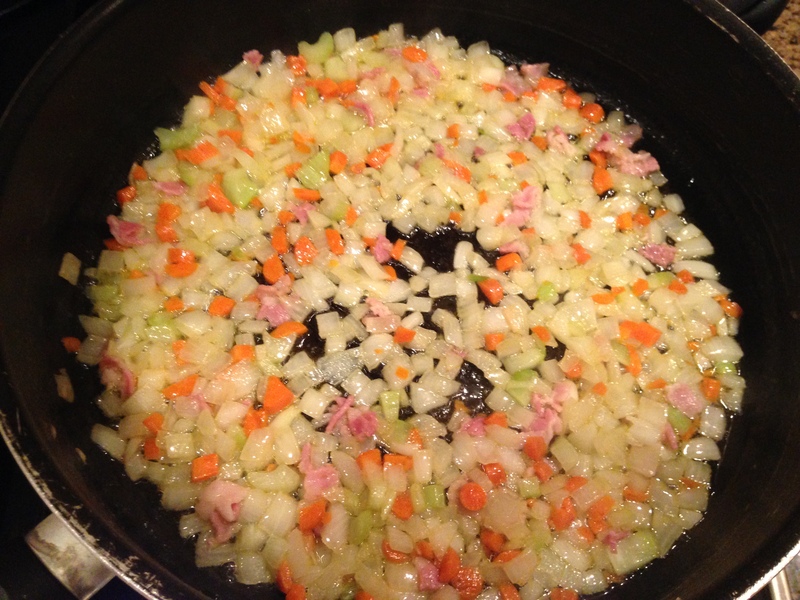 Heat olive oil with butter, and saute onions, carrots, celery, and pancetta until golden. Meanwhile (or close to the end of simmer time), saute mushrooms in remaining butter, adding some salt and pepper. I would also start your water for pasta, if desired, around now. Add the garlic and chopped parsley to the mushrooms. When sauce is done simmering, add mushrooms and heavy cream. Simmer together for about 5 minutes to blend the flavors, and serve over pasta. 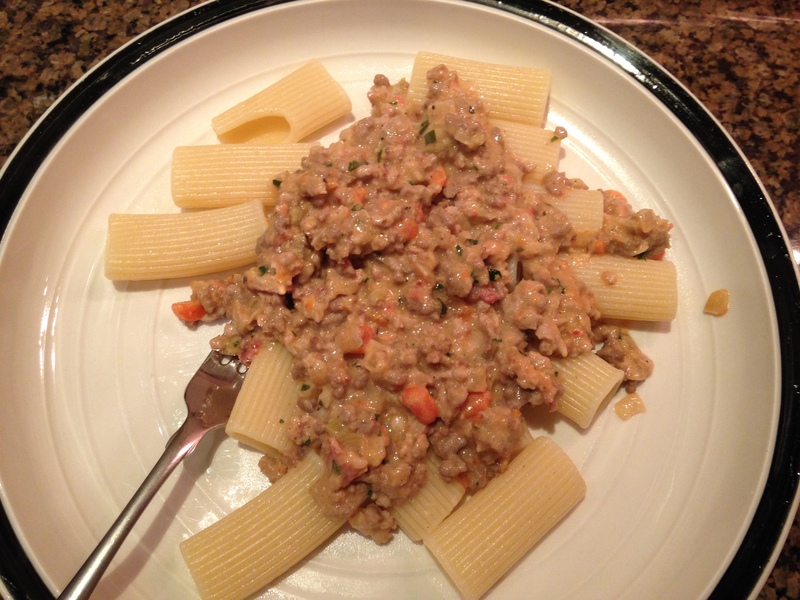 As indicated early in this post, this recipe was really good. It will be added to the roster of meals at the Vaughn house! It was rich, flavorful, and pretty straightforward to prepare. I could even make it on a weeknight, because the simmering didn’t take as long as anticipated. I did not include the chicken livers – because I visited two stores and couldn’t find them at either – and discovered that my mushrooms had gone bad when I went to retrieve them from the fridge. Although both would have been nice to have, their exclusion didn’t negatively impact our enjoyment of dinner. One of the things I like best about the Maine Kitchen cookbook is the frequent inclusion of wine pairings with their recipes. In this case, the author recommends a Barbaresco. Categories: Drink, Eat, Weekly Recipe | Tags: home cooking, Italian ragu, Maine, Recipes from the Maine Kitchen | Permalink. I have a good friend in Charlotte who once reacted with shock, when, on a Friday, I told her I had gone for a run that morning. 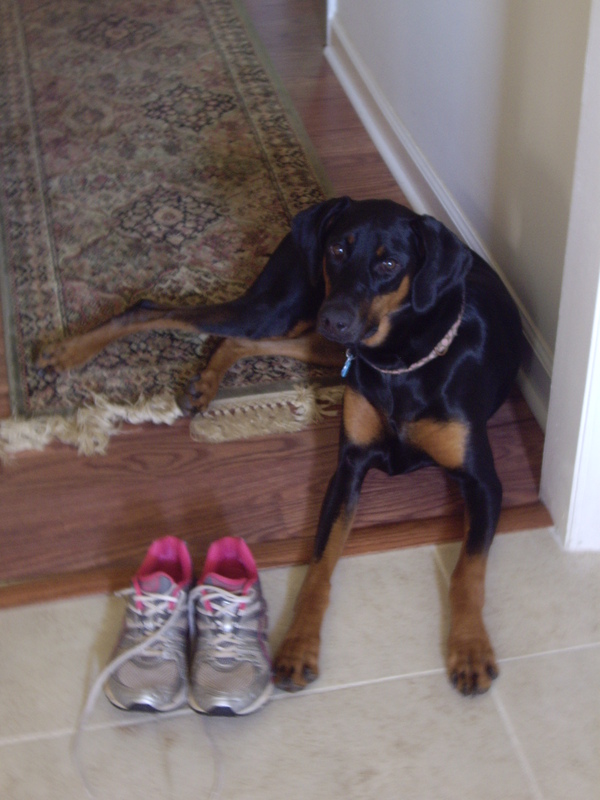 “Fridays are not for working out,” she informed me, a horrified expression on her face. In her mind, Fridays are for sliding into the weekend, relaxing with a post-work drink at 1900 Mexican Grill, rewarding yourself for a long week of hard work and good habits by shirking those good habits just a bit. She is also one of the healthiest people I know, and I mean that in every sense of the word – she exercises, yes, and eats healthfully – but she’s also very balanced and self-aware. She’s not afraid of a little indulgence at the end of the work week. And so I think she’d approve of my next assertion: Fridays are for pizza. There are many, many reasons I believe Fridays are for pizza. First, how many of us really get jazzed to go home and cook dinner after five days of work? I know I don’t. In fact, I rarely cook on Fridays. That’s not to say we have takeout or restaurant pizza every Friday, but I typically meal plan the week so whatever I make on Thursday, there are delicious leftovers for Friday (lasagna, soup, casserole, etc.). However, in the event that my meal planning has not been executed as intended, pizza is my number one back-up plan (and sometimes it is the only plan). In Charlotte, that typically meant Riccio’s – a good little Italian place right in our neighborhood (Touchstone). In Macon, that means Ingleside Village Pizza. Sadly, they don’t deliver – but it’s a testament to how outstanding the pizza is that we a) spend much more money than Papa John’s or Domino’s to have it and b) we hold off on the beer or wine consumption in order to go pick it up. If you have the good fortune to live in the Portland, Maine area (and in certain parts of NH and MA), you have two great, local choices – OTTO Pizza and Portland Pie Company. Let’s handle these one at a time – besides both being local joints and offering really good pizza, I feel they’re pretty different. During my recent trip home, I visited the Portland Pie location on York Street (I had previously been to Portland Pie in Westbrook). It was a Friday (naturally), and my mom, my sister, and I met my cousin and her family there for dinner. Despite our early arrival time of 5pm, they were already very full and pretty noisy, but pleasantly so – the type of noisy that tells you families are enjoying themselves, young professionals are kicking back at the end of the week, and that you’re in a bustling place of business. Portland Pie’s major differentiator is that it’s all about the dough – and they say so on their website. Their signature flavored pizza doughs stand out from the crowd – Basil, Wheat, Garlic, and Beer. I ordered a Shipyard Delight (vegetarian pizza with spinach, broccoli, and more) on a garlic crust and enjoyed every bite. While I’m a sauce girl (the more red sauce, the better), the flavored crust only elevated that experience, and the fresh veggies enabled me to pretend I wasn’t indulging. My sister got the ‘Roni, which was also great (she let me steal a piece – it’s amazing they didn’t have to roll me out of there). To sum it up, if you like traditional pizza with a twist, and lots of options, Portland Pie is the place for you. 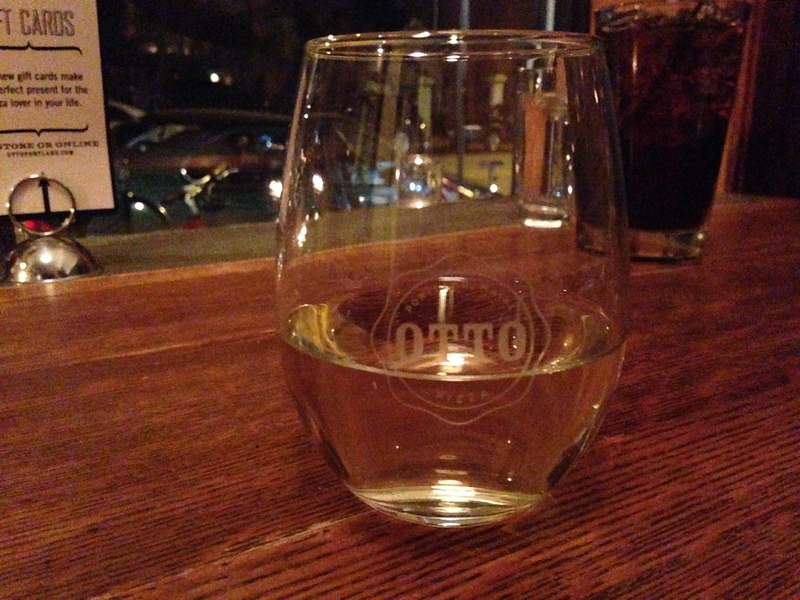 Switching gears, I found the experience at OTTO to be a strong contrast. OTTO Pizza was recently voted the best pizza in the state, and I don’t disagree. We visited the 225 Congress Street location on a Saturday night, and what struck me upon first walking in was that I could have been walking into another type of restaurant – perhaps a gastro pub – or something slightly upscale with a foodies-would-go-wild-for-this feel. The OTTO Pizza menu is shorter than Portland Pie, but certainly not less appealing. It’s actually a good thing it isn’t longer – it was hard enough to choose as is. Their menu is inventive, creative, and completely unique. In its way, it hardly feels like pizza. This is a pizza place a guy could take a date to before she’s officially his girlfriend. My mom and I decided to split two pies – we ordered the Mashed Potato, Bacon, and Scallion (who can say no to that, after all?) and the Eggplant, Ricotta, and Basil (’cause I had to have my red sauce). We were so eager to start that I didn’t get my picture while both pies were whole! The OTTO crust is thin – almost acting as a mere vessel for the spectacular combination of ingredients atop it. 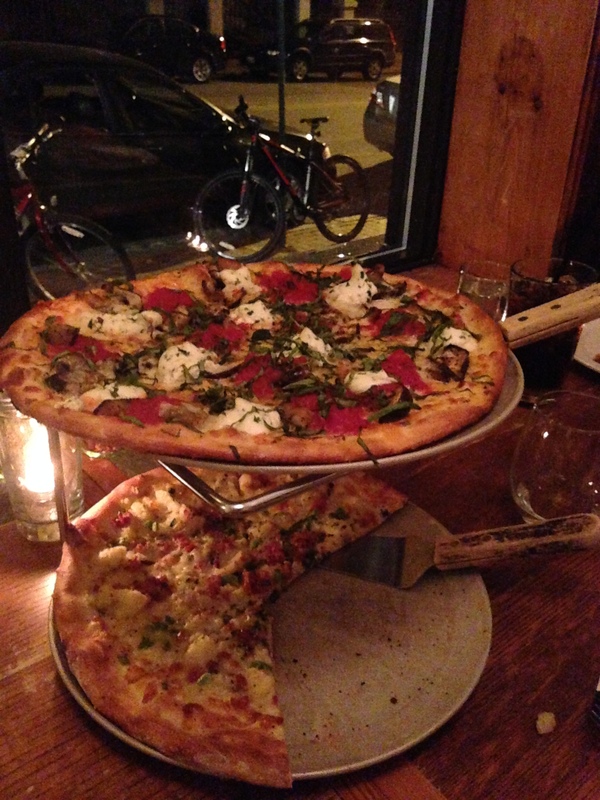 Both pizzas were delicious – I still can’t choose a favorite even in reflection, which is saying something. The dining experience at OTTO was rounded out by good service and an enjoyable, adult atmosphere. And judging by the constant takeout parade of people and pizza boxes, they’re doing a brisk business, too. Happy Friday to all… I hope yours includes pizza and beer. I know mine will. Categories: Drink, Eat, Play | Tags: Fridays, Ingleside Village Pizza, Maine, Otto Pizza, pizza, Portland, Portland Pie Company, Riccio's | Permalink.